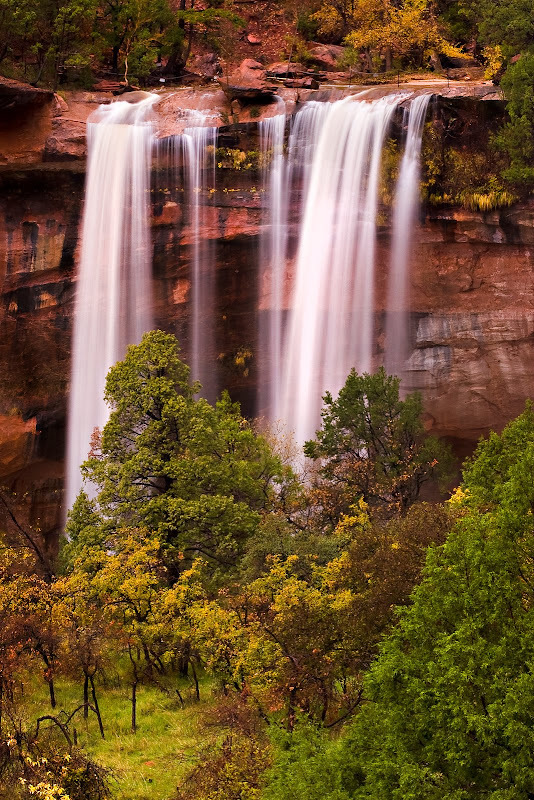 The rainy season in Zion National Park continued. Emerald Pools in the main canyon, which is often just a trickle or even completely dry in summer time was now a full-blown waterfall. 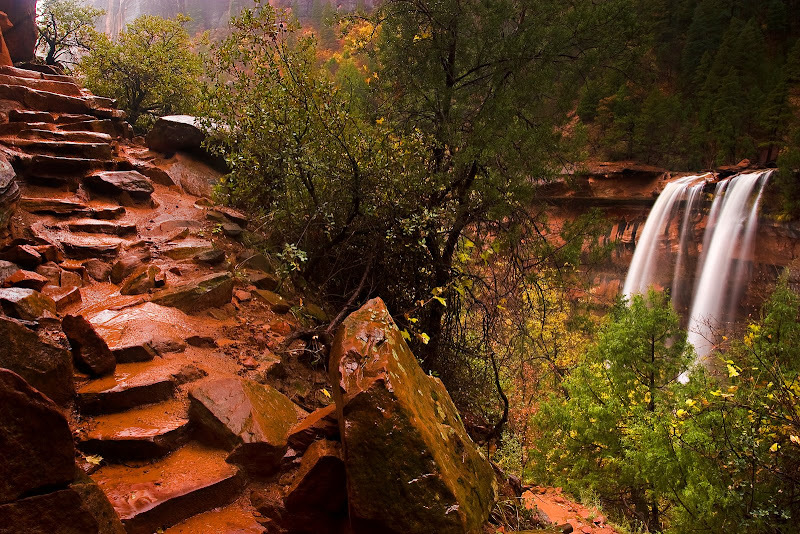 As I hiked along the trail, which takes you underneath and back across the top of the lower Emerald Pools falls, I really liked the juxtaposition of this stone staircase, with the waterfall flowing in the background. The rain was still pouring down, which made keeping the lens dry for a 20 second long exposure somewhat tricky. Here is another view of the lower Emerald Pool.